Golangprojects has now been online for 5 years (time flies! ), it was created by Carl back in 2014. If you like the programming language Go (Golang), this is where you can find current job openings or freelance positions. Does your company want to hire Golang developers/engineers? Triplebyte is unique because they're a team of engineers running their own centralized technical interview. The evaluation quality is so good that companies like Apple, Dropbox, Mixpanel, and lnstacart now let every engineer Triplebyte recommends skip steps in the application process. They give personal assistance to discover which roles you're most excited about, schedule your ﬁnal interviews back-to-back, and help you negotiate with multiple companies at once. Triplebyte now works with top tech companies and hundreds of the most exciting startups. It's free, conﬁdential, and background-blind for engineers. Take Triplebyte’s online coding quiz to see if they can help you level up faster. Take their quiz, get offers from top tech companies. You can follow Golangprojects at Twitter, Facebook and as rss feed. 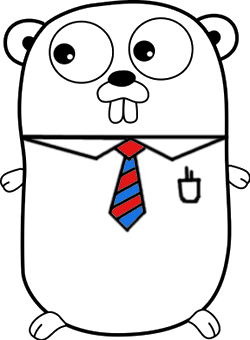 And don't forget to subscribe to our newsletter for the latest golang jobs. See all 615 developer / engineer profiles or why not submit your own developer profile!